Chillwave guru Neon Indian (aka Alan Palomo) has released a fantastically retro new video, which mimics an instructional video for a fictional 1980s electronic noise-making device. The video, entitled “Step into the World with your PAL 198X,” reveals Palomo’s penchant for experimenting with quirky electronic sounds and ‘80s throwback style. In addition, check out some teaser videos previewing two tracks (“Heart: Attack” and “Heart: Decay”) from Neon Indian’s new album, Era Extrana, due out September 13 on Static Tongues/Mom + Pop. Neon Indian - Step Into the World With Your PAL198X from Neon Indian on Vimeo. 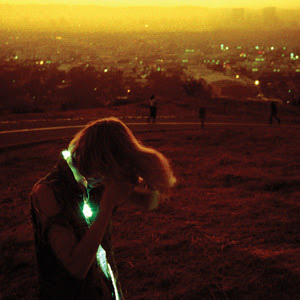 Neon Indian - Heart : Attack from Neon Indian on Vimeo. Neon Indian - Heart : Decay from Neon Indian on Vimeo.